With Socrative, teachers can create formative assessments through quizzes, quick question polls, exit tickets and space races. 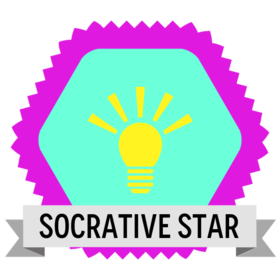 Socrative will instantly grade, organize and display visual results of student responses to help teachers determine areas of weakness in student understanding. 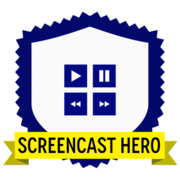 Screencast-O-Matic is a great tool to record screens in video format to share with friends, students, colleagues, or peers. The software allows you to record your computer screen as well as your voice in order to create How To videos and lectures that can replace your direct instruction. This software is a great opportunity to flip your classroom! Please NOTE: if you are using a desktop, you must use a microphone to record your voice. 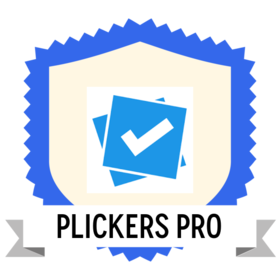 Easy, Fun, Quick Assessment: Plickers is a very simple tool that allows teachers to collect formative assessment data. All the teacher needs is a smartphone or iPad. No student devices are needed. Teachers print out a free set of 40 cards - preferably on card stock - and can use the same set of cards all year long. Simple to learn and simple to use! 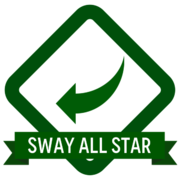 Microsoft Sway is a presentation tool that allows users to create interactive whiteboards by adding video, animation, and text. For this Badge, redesign an old worksheet that includes interactive media. 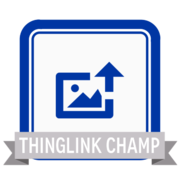 Thinglink allows users to annotate images and videos with layers of audio, videos, text, additional images, links, and even maps. 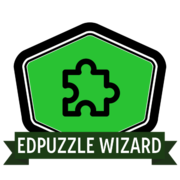 EDpuzzle allows you to take existing videos and edit and add questions to them for your lesson! Not only can you edit the video, but you can also see how the students are progressing using the classroom portion of the program. Tagxedo is a Word Cloud creator. 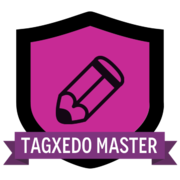 By earning this badge, you have learned to enter your own words and change the color scheme, font, and shape to create a unique Tagxedo. You are capable of using the system confidently and are able to teach your students how to use it to create meaningful curriculum-based word clouds. *Tagxedo is NOT available for use on GOOGLE CHROME. Please use Mozilla Firefox or Internet Explorer. Jeopardy Labs: The site lets teachers create interactive Jeopardy games. It's engaging for students and simple to use. Teachers have access to a library of previously created games that can be modified to fit their own needs. 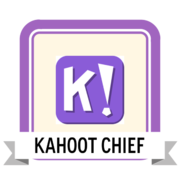 Kahoot allows teachers to create an interactive, highly engaging game that can be used as a review activity. It's really fun and a favorite among educators and students. 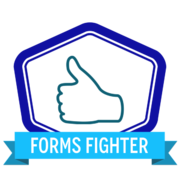 With Google Forms you can create, edit, and analyze surveys with your students or staff with ease. Create a quick opinion poll, make a pop quiz, and much more using this handy tool. 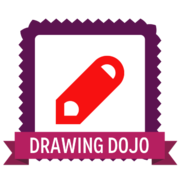 Easily create, share, and edit drawings online using Google Drawings. Whether you are trying to make a diagram or chart, or to paint an image, you can use the editing options in Google Drawings to create the drawing you want. For credit, create your own Google Drawing and submit a copy as evidence. 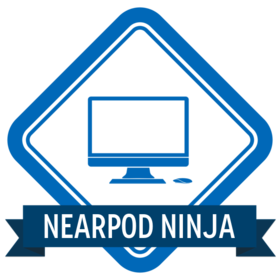 Nearpod is an interactive classroom tool that enables teachers to synchronize all student devices onto one presentation. This tool allows users to creative interactive lessons that engage students through video, polls, quizzes, and much more. 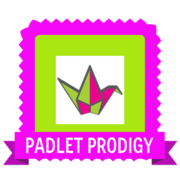 Padlet can be thought of as a virtual bulletin board where images, text, or videos can be posted by an individual or a group of people who are collaborating. For example, a padlet could be created by a teacher to post information or by students to synthesize what they have learned. This is a versatile app that can be easily adapted to many classroom uses. 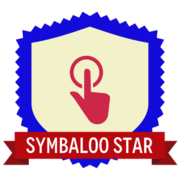 Symbaloo is a one-stop bookmarking site that allows you to gather and access your favorite web sites, documents, presentations, apps, and more from one location. Use Symbaloo to organize your professional resources or to create a page from which your students can access information that you have specifically selected for them. 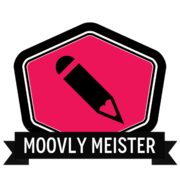 Moovly allows you to create and share animated videos to flip your classroom, offer online lessons and presentations, and let students explore their creative side. The easy-to-use interface will aid you in quickly producing interesting, colorful multi-media presentations for students and adults alike. QR codes are easy to create and are a great way to link your students to documents, web sites, videos, and other types of information. 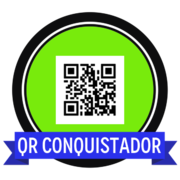 Using a smartphone, iPad, tablet, laptop, or QR reading device, students can simply scan the QR code that you create to independently go on a scavenger hunt, watch a video, read instructions for an activity, look at a web site, or access any other information that you want to provide to them.